UPDATE 3/11: The bill failed in committee. The California Assembly Public Safety Committee will be hearing AB 1588 (Conway) on March 11th. The bill would expand the minimum distance of dispensaries or collectives from schools to 1,000 feet from the present 600 feet. It would also impose an additional fine of $500 to $10,000 for anyone illegally cultivating within a 1,000 foot radius of a school (not including individual Prop 215 patients and their caregivers). The 600-foot rule was copied from the state’s rule for siting of liquor stores. The bill grandfathers existing local ordinances in effect as of Jan 1, 2015. 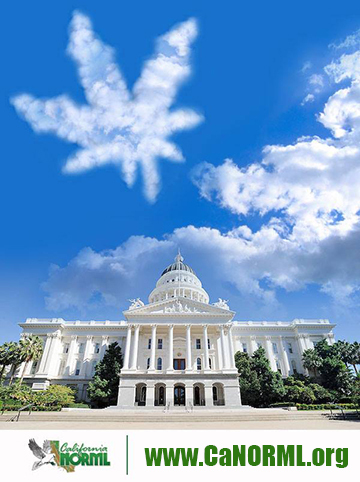 Cal NORML opposes AB 1588 on the grounds that marijuana is no more dangerous than alcohol, that the 1,000-foot rule is impractical in localities with high population density, and that local governments should be free to make their own land use decision in this regard. Governor Brown: Who says ‘potheads’ aren’t productive?